Gaining worldwide recognition with his creative partner Ryan Lewis, Macklemore has been taking the independant Hip-Hop scene by storm. Being called the "most painfully self aware artist in Hip-Hop history and with over 10 years of making music under his belt, all the big record labels are after him. Yet, he refuses to sign the dotted line and his incredible fanbase is keeping his movement alive and ever expanding. Harmoniously rapping over violins and trumpets produced by his partner Ryan Lewis, Macklemore is Seattle’s chance of making it onto the music map & is hip-hop’s new breath of fresh air. It’s rare that you stumble upon a Hip-Hop artist with such passion to spread a message across & one that does it for the love, not for the money. That passion is then converted to life experiences, which forms into art that is highly admired by people worldwide. Unlike the majority of stereotypes associated with Hip-Hop, Macklemore addresses the negativity & transforms it into positive music capturing the ears of music fans from all genres. His versatile music has gathered fans not only in the US but also in Europe and continues to grow as a strong artist independent from major labels. 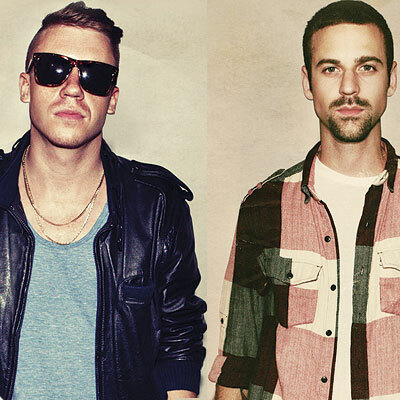 Macklemore and Lewis started working with live musicians and released new records in 2009 called ‘”The Unplanned Mixtape” which was then followed by the highly acclaimed mixtape “The VS. EP”. The EP, which was based on samples of popular indie & commercial rock songs, was available for free download and turned out to be a huge success. The most notable song that has spoken to people in a new and different way (Macklemores exact words exactly) was “Otherside” which samples The Red Hot Chilli Peppers track with the same name. Throughout the majority of the track, he takes a second person look at someone who didn’t think he had drug problems and rallies a message against the hip-hop trend of drinking cough syrup. Something he was highly addicted too. The highly recognised remix accompanied by the music video has over 2 million hits on YouTube. Harmoniously rapping over violins and trumpets produced by his partner Ryan Lewis, Macklemore is Seattle’s chance of making it onto the music map & is hip-hop’s new breath of fresh air. It’s rare that you stumble upon a Hip-Hop artist with such passion to spread a message across & one that does it for the love, not for the money. That passion is then converted to life experiences, which forms into art that is highly admired by people worldwide. Unlike the majority of stereotypes associated with Hip-Hop, Macklemore addresses the negativity & transforms it into positive music capturing the ears of music fans from all genres. Be sure to drop your thoughts & opinions!